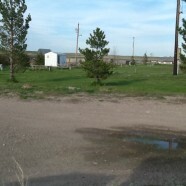 The Sioux Campground has 12 full hook-ups and easy access. Our horse motel adjoins the campground. Campground rate for hook-ups is $20 + tax. Horse motel rate is $12 + tax.